Lots of people like riding bicycles and lots of people like dogs, so why not combine the two to create a very unique business? That’s exactly what Lanette Fidrynch, founder of Cycle Dog, did. She took her love of biking and a little inspiration from her canine companion and created her company, which now has products on store shelves all over the United States. Fidrynch spends a lot of time on her bike. She is an avid mountain biker, road biker, and also commutes on her bicycle most of the time. Although she loves riding, there was one downside. Her passion created a large pile of deflated bike tire tubes. Since she was a girl she loved to find new uses for old things, and the same was true for the old pile of tire tubes. She began by fashioning a leash and collar for her dog, Regan, out of an old tube, and then she continued to refine the design until the products began to look like something you may actually see on a pet store shelf. Fidrynch’s family and friends began getting interested in her products too, and the company took off from there. The goal of Cycle Dog is to create dog products that focus on the environment, as well as educate consumers and raise awareness for the millions of old bike tubes that are thrown into landfills each year. The tubes work great for collars and leashes because they are flexible yet durable, and they are non-absorbent. 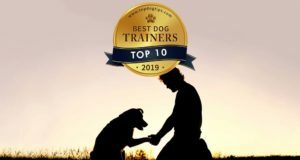 Although they are hard to recycle by conventional means, they make excellent dog products that are environmentally friendly, great for the dogs and last for years if they are well cared for. The collars dry very quickly because they don’t absorb the water, so they are great for water dogs. Likewise, they don’t absorb odors either, so they always smell fresh and clean. Typical collars are made from fibers and will fray over time, but because Cycle Dog collars are made of recycled rubber, that is never an issue. The collars use Latch-Lock airline style buckles that can withstand over 750 pounds of pull strength. The internal parts are made of stainless steel, which makes them over 400% stronger than the typical plastic buckles you see on most collars. 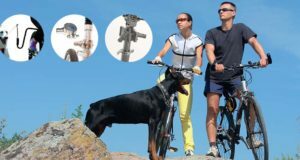 Cycle dog also makes other unique products including dog toys that are made from a blend of post-consumer recycled rubber from bike tubes and High Durability rubber. They also have a line of dog collars that have a built in bottle opener and bike apparel for humans that match their dog’s collar as well.